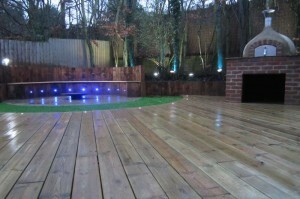 Below are a selection of some of the jobs from our garden design and landscaping portfolio. Our latest examples of work can be found at the bottom of the screen under ‘recent projects’. 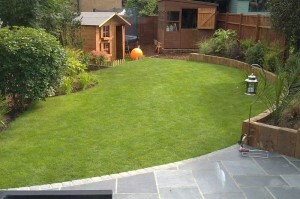 From uninspiring patch of grass to a contemporary outdoor living space complete with a pizza oven. To see the creation of this garden, click on the image below. 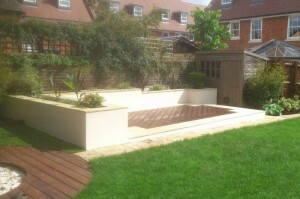 Click the image to view the transformation from ‘The Good life’ to this stylish contemporary garden. 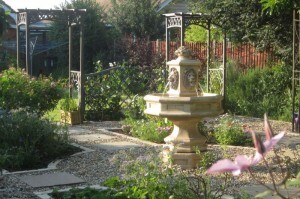 From crazing paving to formal gardens complete with a fountain, click the image to view . 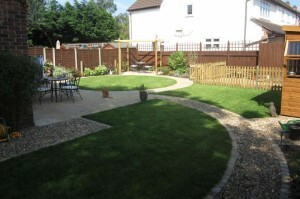 To see how this family friendly garden was created, click the image to view. 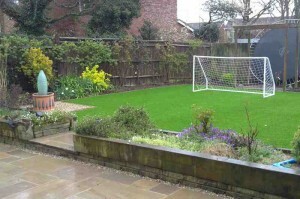 A new patio and artificial turf for football mad youngsters were the main elements for this garden.